Gain even more savings by pairing your lodgings and airfares. 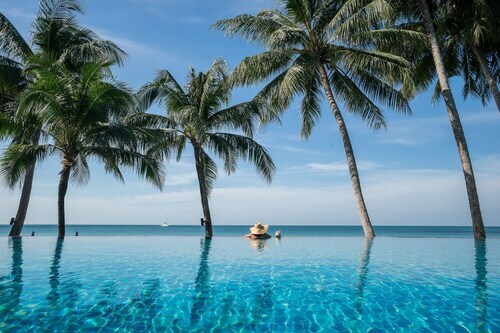 Expedia has heaps of epic Ko Chang holiday packages that'll save time and give you more cash to splash! Savings of as much as 15%* are waiting for savvy travellers who book a package deal on Expedia. Our impressive database allows you to research more than 321,000 properties worldwide and 400 partner airlines. With such a great range of options, arranging your dream holiday will be simple! Almost ready to embark on your Ko Chang holiday? Wondering what things to add to your travel programme? Don't worry — we're here to give you a few of our recommendations. Ko Chang is where you'll see Klong Plu Waterfall. People come from all over to get a photo in front of this iconic attraction, and we suggest you join them! You never know what things could end up on the shore at Lonely Beach. Kick off your shoes and wander along the water to see if you find any interesting seashells. There's an excellent range of things to do in this destination. There's something enchanting about observing water pouring over the edge of a cliff. Try to position yourself as close as you can to Khiri Phet Waterfall and feel its cool spray on your skin. Still have some time on your hands? Pick up some cheese, crackers and a bottle of vino and spend a couple of hours at Bailan Beach. It's one of the most stunning destinations in the area for a leisurely picnic. Getting cosy places to stay is integral when organising cheap holidays or luxury getaways. 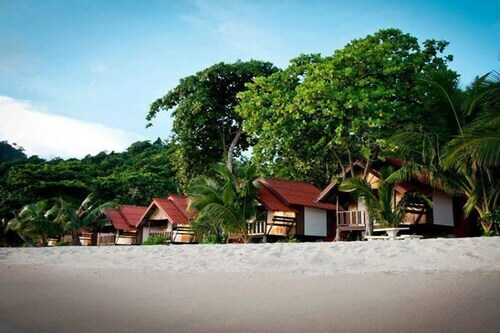 Fortunately, Ko Chang offers around 59 accommodations, so you'll have plenty of options. Room service, pillow-top beds and high-quality furnishings are just a few of the things you can expect upon your arrival at the Parama Koh Chang (8/4 Moo 3 Tumbol Kohchangtai) and the Santhiya Tree Koh Chang Resort (8/15 Moo 4, Klong Prao Beach). Reserve a room now for a taste of the high life! Would you rather somewhere less expensive? 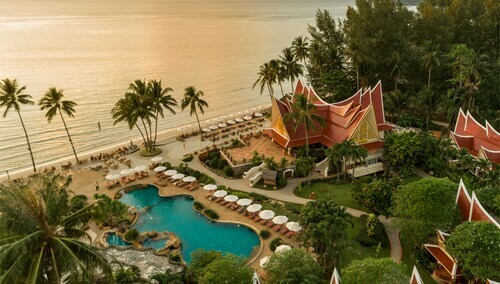 Try The Stage Koh Chang (19/19/1 Moo 4 Tumbol Koh Chang) and the Paradise Bungalows (98/12 Moo 4 Kai Bae). No one likes standing around at the airport. But it's worth it when you think of the holiday that's waiting! Found 18 miles (29 km) north of Ko Chang, Trat Airport (TDX) is the closest terminal. 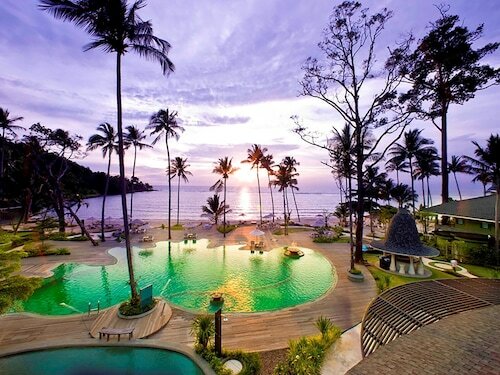 Nestled on the beach, this Ko Chang hotel is within 1 mi (2 km) of Ko Chang Medical Clinic International and Kai Be Beach. Klong Prao Beach and Lonely Beach are also within 3 miles (5 km). Nestled on the beach, this Ko Chang resort is within 3 mi (5 km) of Ko Chang Medical Clinic International, Klong Prao Beach and Kai Be Beach. Klong Plu Waterfall is 2.2 mi (3.5 km) away. 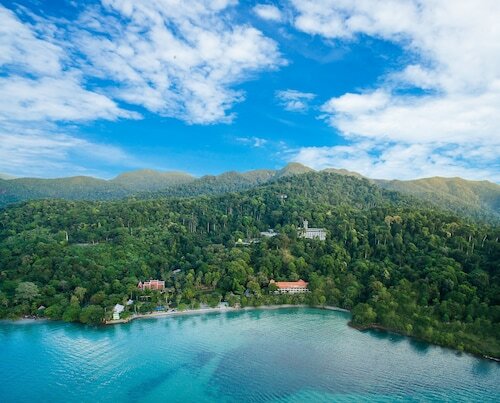 Located in Ko Chang, this beachfront resort is in a national park and within 3 mi (5 km) of Bailan Bay, Lonely Beach and Kai Be Beach. Bangbao Beach and Bangbao Health Promotion Center are also within 3 miles (5 km). Located in Ko Chang, this beachfront resort is in the city centre and within 1 mi (2 km) of Ko Chang National Park and White Sand Beach. Pearl Beach and Koh Chang Ferry Terminal are also within 3 miles (5 km). 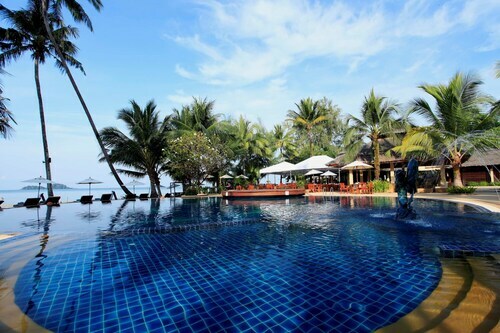 Nestled on the beach, this Ko Chang resort is 0.1 mi (0.1 km) from Kai Be Beach and 1.3 mi (2 km) from Lonely Beach. Ko Yuak and Ko Chang Medical Clinic International are also within 2 miles (3 km). 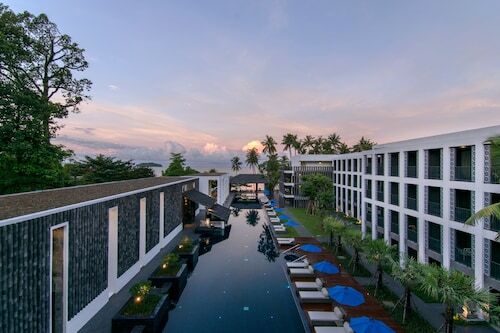 Situated near the beach, this hotel is within 1 mi (2 km) of Ko Chang National Park and White Sand Beach. Koh Chang Ferry Terminal is 2.7 mi (4.3 km) away. 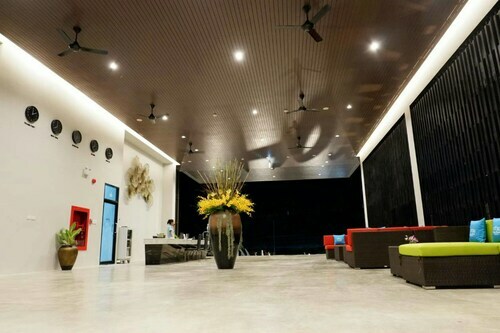 Situated in Ko Chang, this hotel is 0.1 mi (0.1 km) from Klong Prao Beach and 2.1 mi (3.3 km) from White Sand Beach. Pearl Beach and Ko Chang Medical Clinic International are also within 3 miles (5 km). Nestled on the beach, this Ko Chang resort is within 2 mi (3 km) of Ko Chang Medical Clinic International, Klong Prao Beach and Kai Be Beach. Klong Plu Waterfall is 1.8 mi (3 km) away.